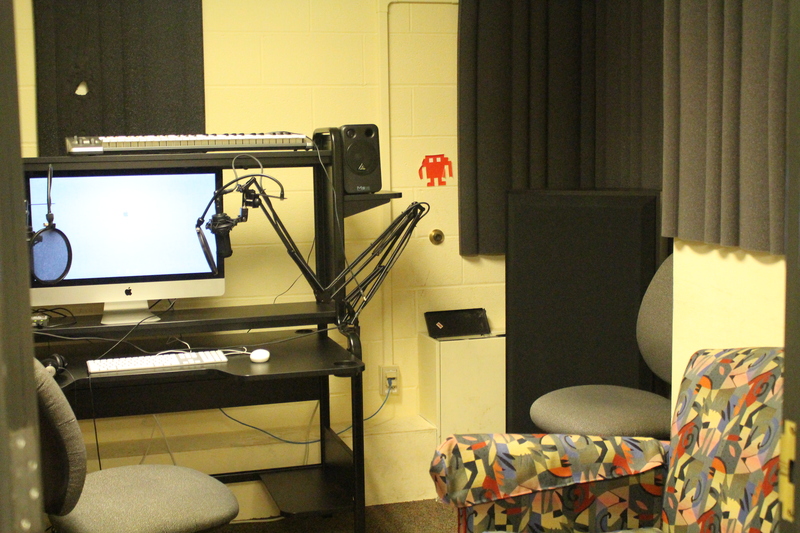 Podcast Nook #2 is located on the left hand side when you leave the main Media Center area going towards the Microroom, pretty much opposite of the Studio. 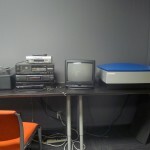 The room is partially sound-proofed and is furnished with an iMac, a Casio Electric Keyboard, an Audio Dock, a chair and a couch. Podcast Nook #2 is a little more removed from the main Media Center spaces, perfect for when you’re working on creative works that need a little more peace and quiet. 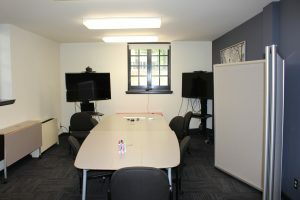 It serves as a great space for group projects and individual work. Reservations for this room can be made online at dickinson.siso.co. This is a very popular room, so please reserve online ahead of time to ensure that you have a spot. 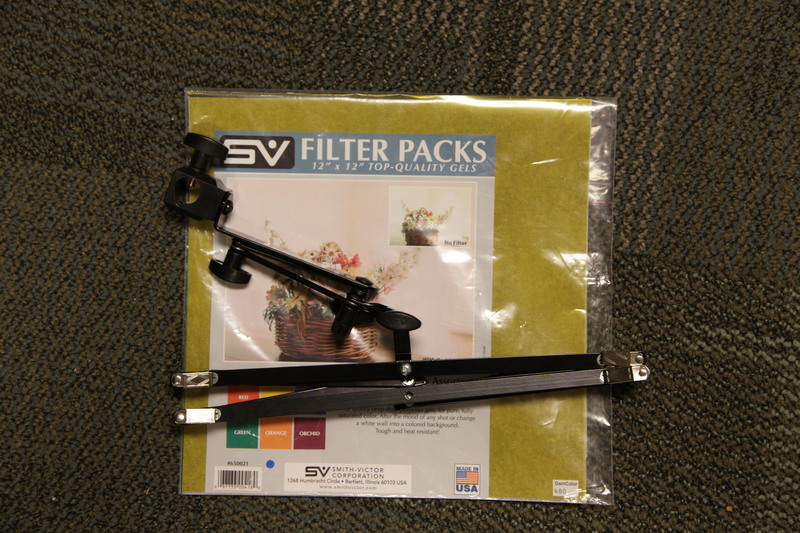 The filter holder and filter pack are used to filter certain light spectrum to create colored lighting for filming or photography purposes. Check out last semesters Policy Studies Senior Seminar videos created for local non-profits. 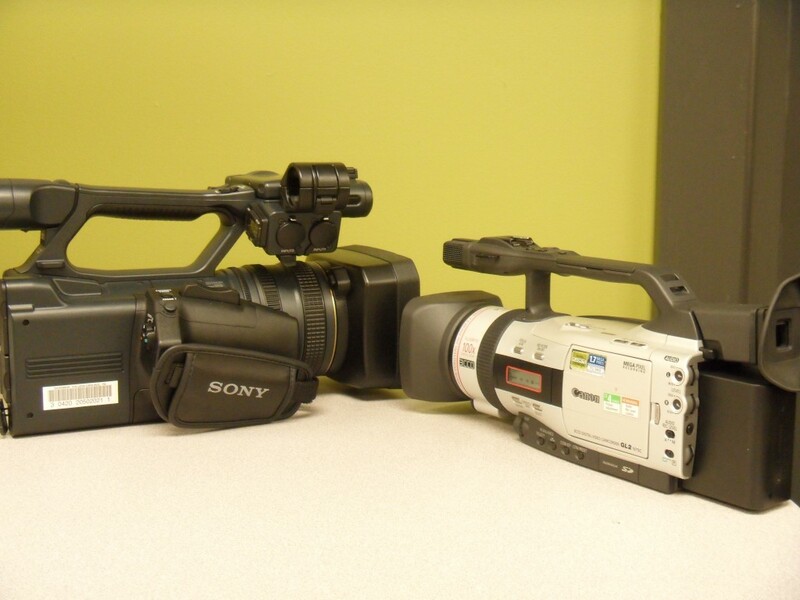 If you would like to learn how to operate our pro-sumer style Digital Video Camcorder, there will be a Workshop given on Friday the 17th in the Media Center Studio (Bosler 008). —Update times are set there will be two sessions one from 3:00 to 4:30 and another from 5:00 to 6:30. People who responded to the survey and film students will get first priority but more are welcome for both times. 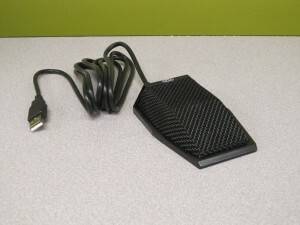 This flat microphone uses a USB connection and can easily lay flat on a table. It also picks up audio in a wide range, making it great for recording a group of people in a room or for conference calls – with its USB connection it works great with Skype. 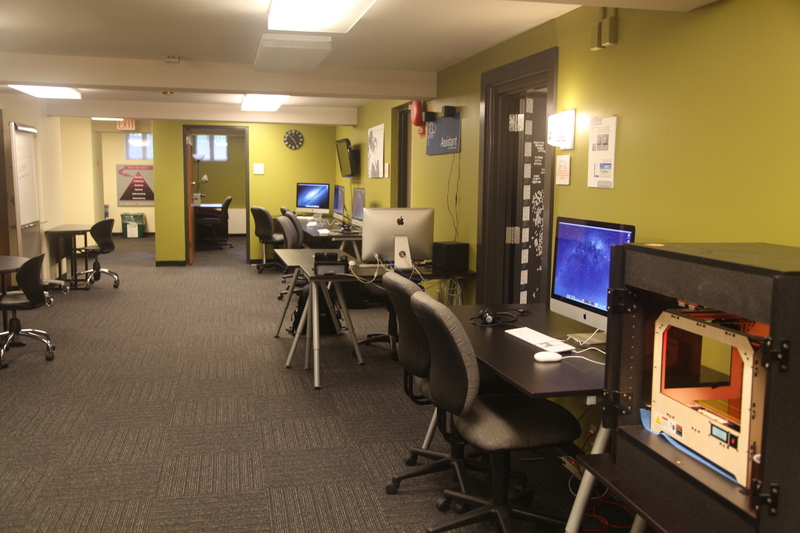 Located in the media cove near the front stairwell of Bosler is our self-service area. 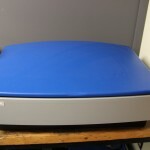 Here you’ll find our large format scanner, which is useful for digitizing larger images quickly. The scanner is networked, and can upload data to any of thecomputers in the media center. We also have a slide scanner which can be used to make digital copies of slides. While these machines are primarily self service don’t hesitate to ask a media center assistant (usually located in the equipment room) for any help you might need. This area is also adjacent to the media cove multipurpose area and Podcast nook #3. 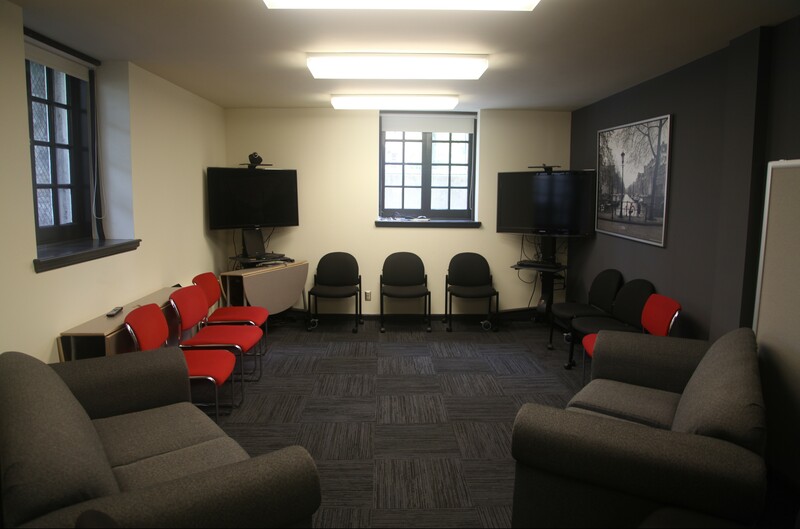 This is the main area of the Media Center, great for working on group projects. 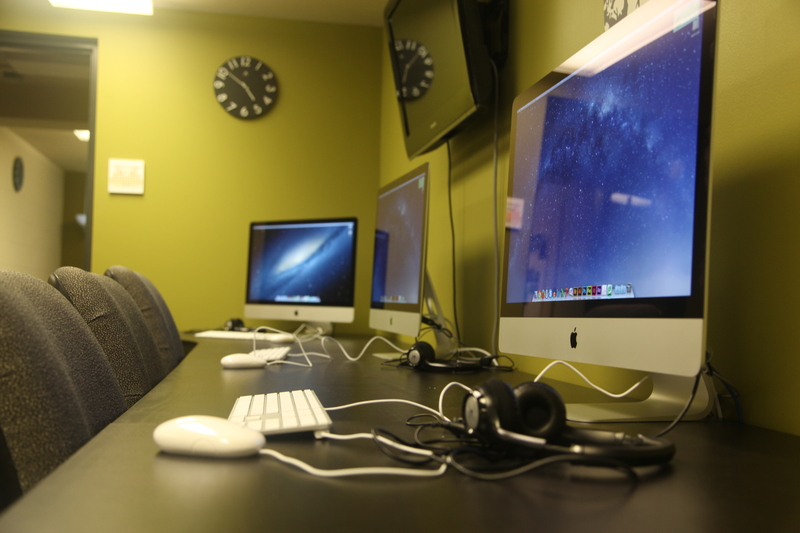 The iMac computers in this room are available for student use and equipped with all of the media center software. 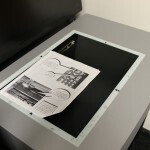 This area is also home to our 3D scanner and 3D printer, as well as our revisable Dinosaur comic. Andy, Brenda and Ryan’s offices are centrally located and they are always willing to help with any issues you might have working in the center. 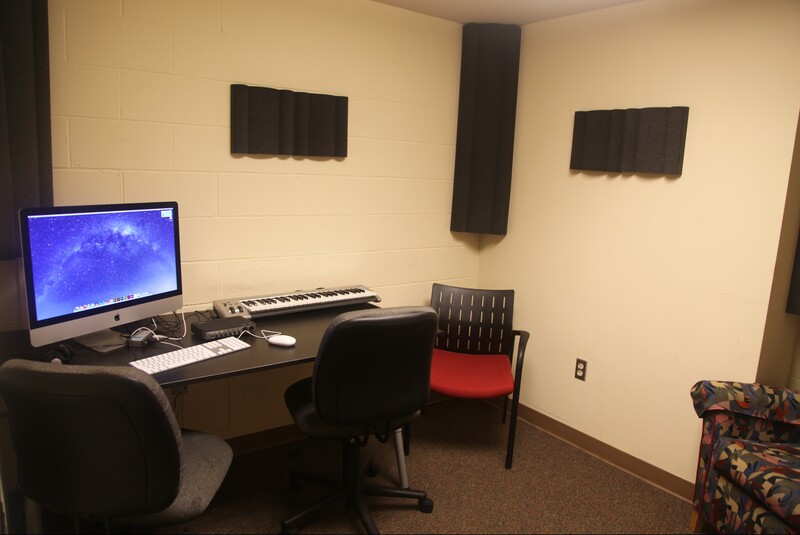 The Collaboration Room, Equipment Room, and Podcasting Nook #1 are also located adjacent to this area. 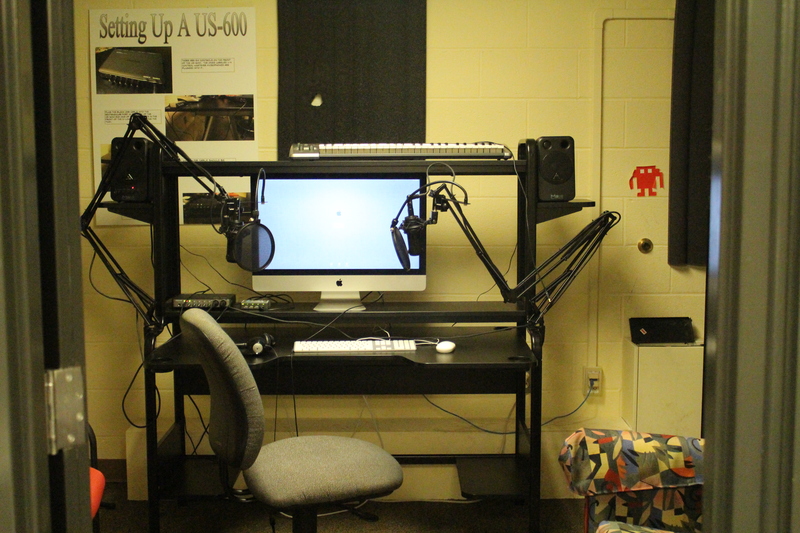 Podcast Nook #1 is conveniently located in the main Media Center area right next to the Equipment Room. 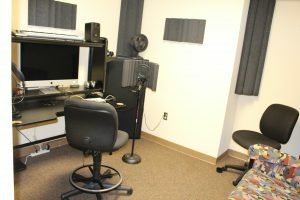 The room is partially sound-proof and is furnished with an iMac, a Casio Electric Keyboard, an Audio Dock and a new set of microphones and speakers. Podcast Nook #1 is nice and quiet, perfect for when you’re working on creative projects, or trying to get a recording without background noise. It has always been a popular space for musical recording and podcast projects. Reservations for this room can be made online at dickinson.siso.co. 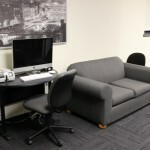 This is a very popular work space, so please reserve Nook 1 online ahead of time to ensure that you have a spot. 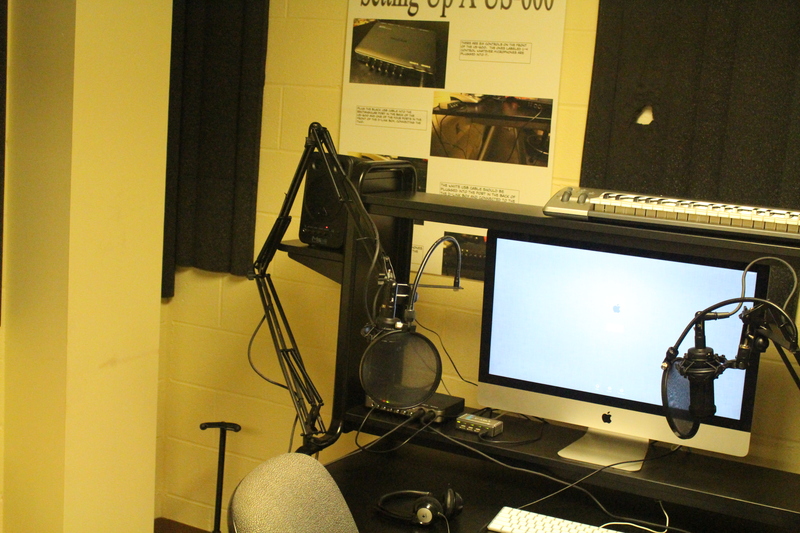 While you’re there, reserve some of our audio equipment too to make sure you get a great recording. The media cove makes a great space to work on group projects or take video calls. After 5:00, it doubles as a video gaming room. With an Xbox One, Xbox 360, PS3, PS4 and Wii, you can face off against your friends.